Willy Braun is a co-founder of daphni. French Tech has never been in such good health: Showroomprivé and Deezer just announced their IPO, Leetchi its trade sale to Crédit Mutuel Arkéa group and several startups have announced significant funding rounds in France in the last three months (more than €10 million for Lengow, iAdvize, Geolid and Mirakl; €100 million for Sigfox; and $200 million for BlaBlaCar). In this context, I conducted a study to identify the characteristics of these new digital champions in Europe that are going forth to conquer the world. 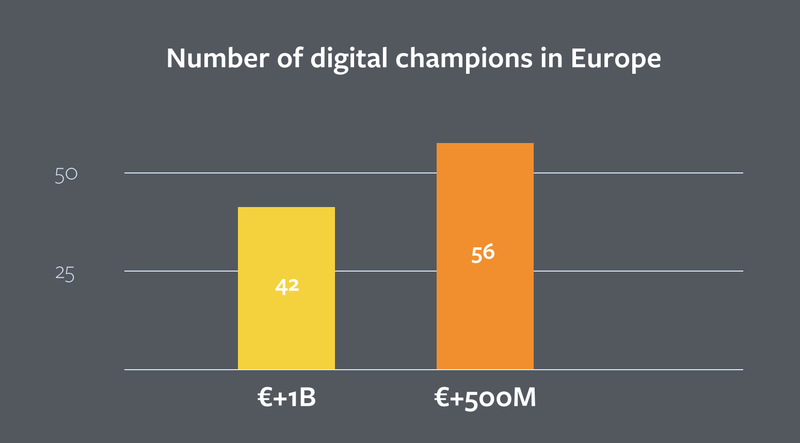 The study focuses on digital startups born in Europe after 1996, with a valuation over €100 million euros. Among these companies, 56 have a valuation over €500 million euros, including 42 over €1 billion euros, the so-called unicorns. The results are surprising on several aspects. While innovation has long been considered the result of R&D activities, the study shows that the majority of European success stories are primarily building business model innovations. 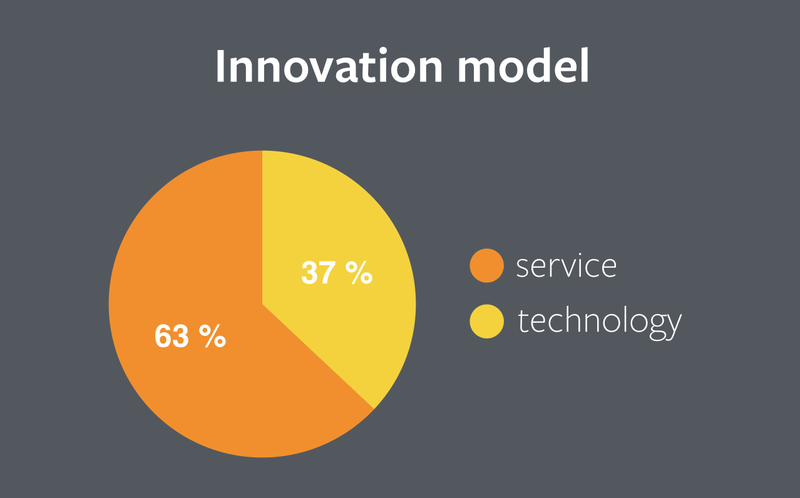 Indeed, 63 percent of these companies are built on service innovation; only 37 percent of them are built on technological innovations. Spotify or Deezer didn’t invent a new compression format: They reinvented the distribution of music. The success of Asos doesn’t come from very technological innovations, but from a new way to market and sell clothes, with simpler interfaces and bigger inventory. Companies that sell directly to other companies seem more reassuring at first, because corporate buyers are rational beings, companies are used to paying and their needs may seem easier to identify. Yet, B2C companies account for 76 percent of European success stories. Just remember Vente Privée, Shazam, Zalando or Skype. I see two reasons why this is the case. First, there’s a higher aversion to risk in the corporate world, which makes it very difficult to sell innovative services or products to big companies in Europe. 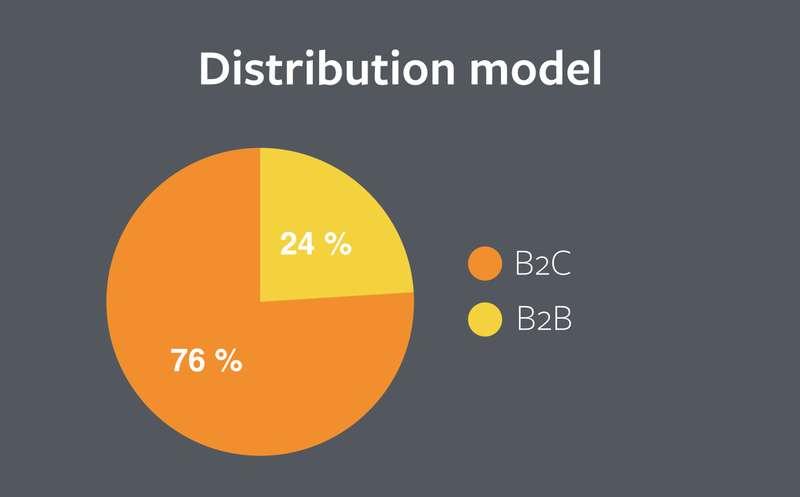 Second, there is a double benefit of B2C models: the creation of network effects and the possibility to adapt the product offering in response to the behavior of users. Looking at the biographies of the founders, two parameters are blindingly obvious. The first is the average age. Founders of European digital companies with a valuation over €100 million are on average 32 when they founded their startup. The second is related to founders’ previous experience. 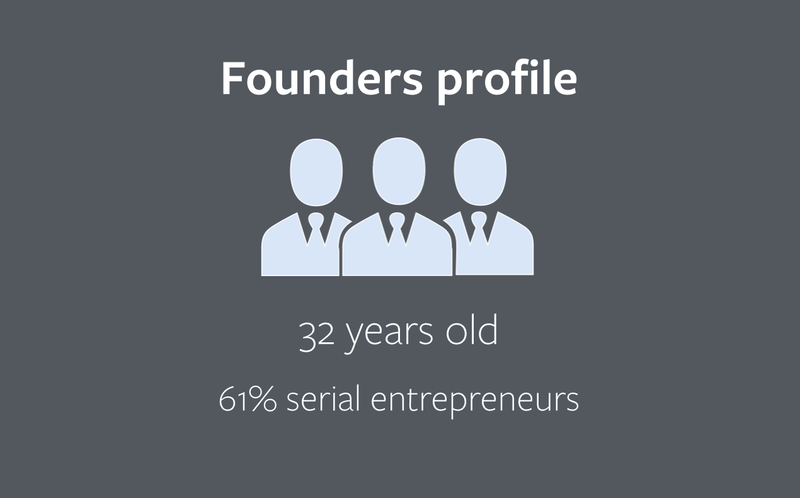 While most founders had between 2-4 years of work experience before they founded their startup, this experience was mostly entrepreneurial: 61 percent of the companies are founded by at least one serial entrepreneur. While exits are mainly through trade sales (56 percent), a substantial 44 percent led to an initial public offering (IPO) in their domestic market or in the U.S. Among the trade sales, it is interesting to note that most of them are to a player of the new economy, including Apple, TripAdvisor, Kayak, Groupon, Facebook, Microsoft, Google, Amazon or Yahoo! The most active industries in the traditional economy are media (Axel Springer in particular), banking and insurance.